The Artisan Cutlery S Waistline offers a tough design with a slim build for all of your EDC needs. This model is outfitted with textured black G-10 scales and a slightly upswept D2 steel blade. 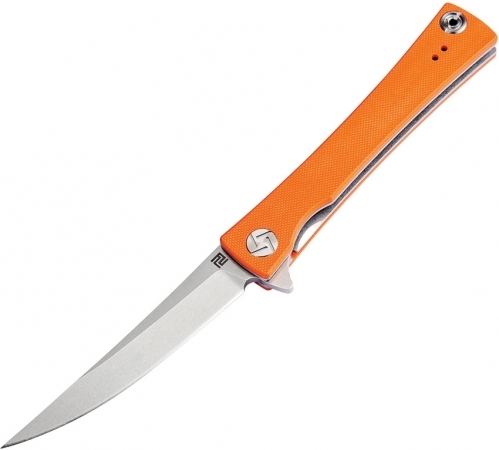 The unique handle shape fits comfortably in the hand with the flipper serving as a guard in the open position. A reversible stainless steel pocket clip finishes off the stellar design. Textured G-10 handle scales offer a secure grip.